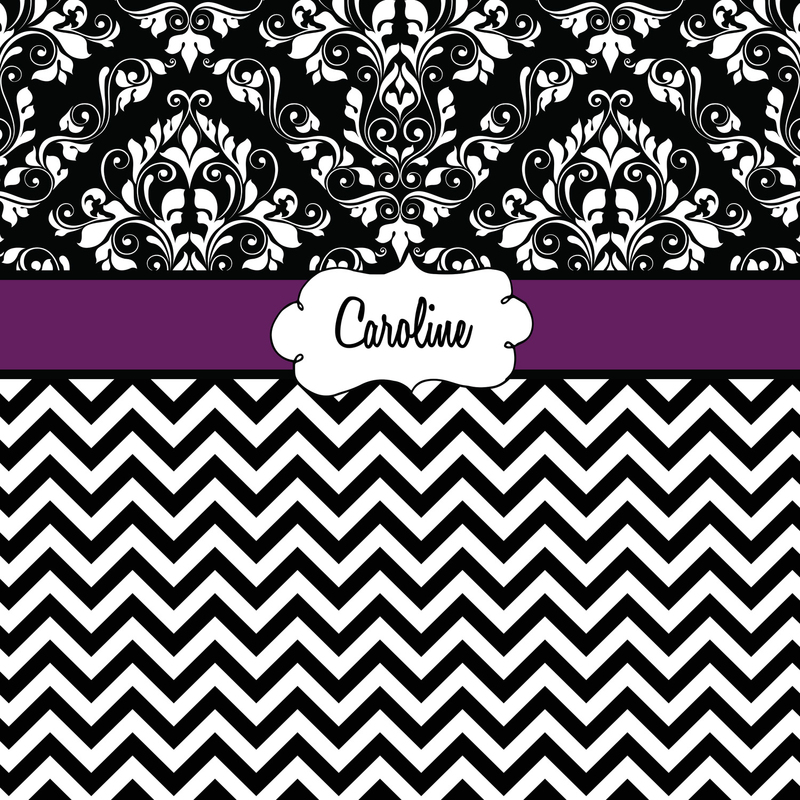 Contemporary Purple Girls Personalized Damask Comforter with Chevron Print. 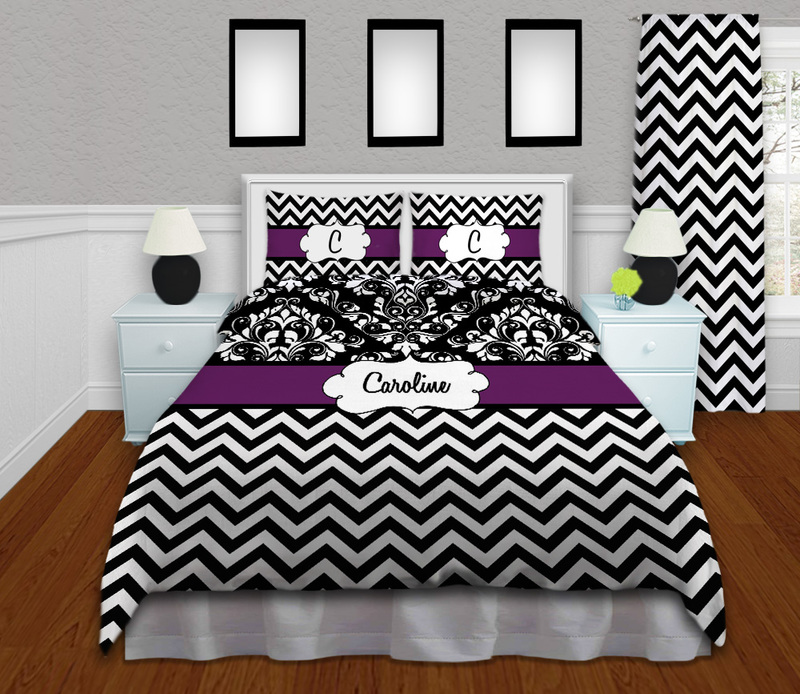 This Bedding has a very clean contemporary style with its Chevron pattern and Black and White Damask Print. 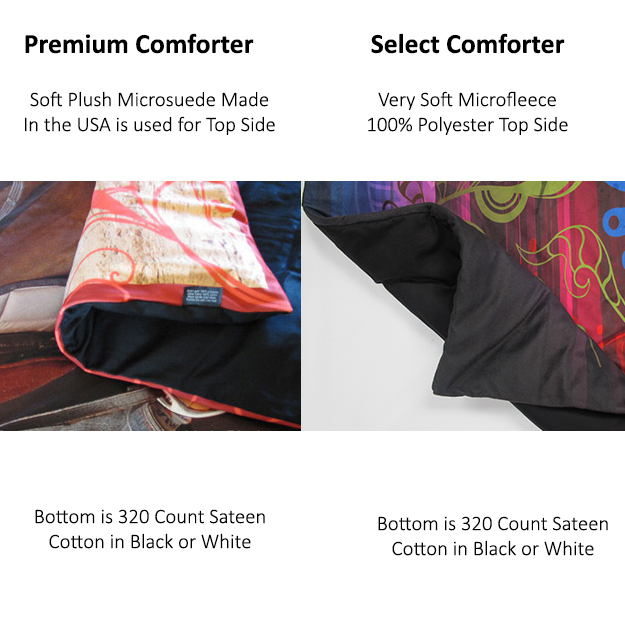 The Purple border adds just a hint of color that I can change to match your bedroom style.